WHEN: Saturday, May 6, at 3 p.m.
WHERE: Welpe Theatre at the College’s Branchburg campus, 118 Lamington Road. Tickets may be purchased at the door on the day of the concert or in advance from the Theatre Box Office, 908-725-3420. The Box Office is open Monday through Friday, from 11 a.m. to 4 p.m. 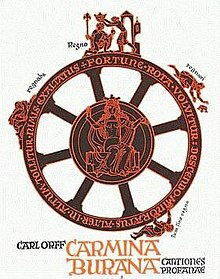 The program will feature Carl Orff’s Carmina Burana, a perennially favorite choral work that sets anonymous medieval poetry (mostly about gambling, drinking and decidedly un-chivalric romantic activity) to dynamic and propulsive 20th-century music. The program also will feature a cappella works by William Byrd, Thomas Morley and Arlo McKinnon. The RVCC Chorale is composed of current RVCC students, alumni and members of the community. This spring’s Chorale includes Jennifer Boardman, Melissa Jo Donlay, Madeleine Evarts, Mia Mazzariello, Madeleine Nasta, Melissa Pampani, and Emily Woods, sopranos; Cathy Dayton, Georgina Denis, Ruth Dilley, Joeann Haddad, Jennifer Kapoian, Georgiana Lubrano and Jane Sausanavage, altos; Dante Colon, Airon Eschavez, Jorge Martinez, Christopher Piel, Gustavo Sanchez-Ochoa and Shawn Wallace, tenors; and Frank Becker, Andrew Conti, Darian Hampton, Andres Jinete, Jon Levering and Christopher Zanardi, basses. Accompanist Timothy Brown will be assisted by second pianist Eric Plutz and a percussion ensemble composed of current and former RVCC students.